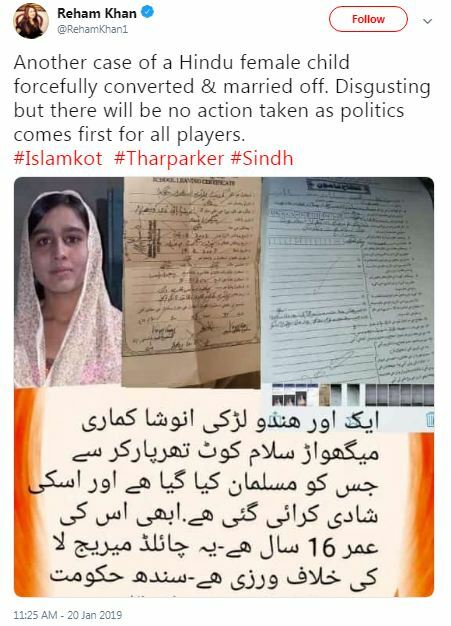 Pakistani Prime Minister Imran Khan’s ex-wife journalist Reham Khan has slammed the state of affairs after another Hindu girl child was kidnapped and forcefully converted to Islam. 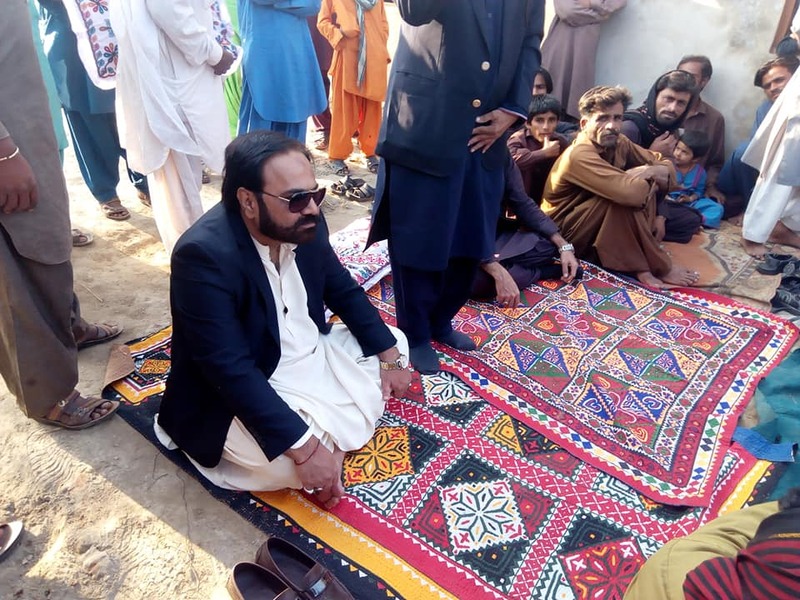 The latest victim of the state apathy is Anusha Meghwar who was abducted and forced to convert to Islam. 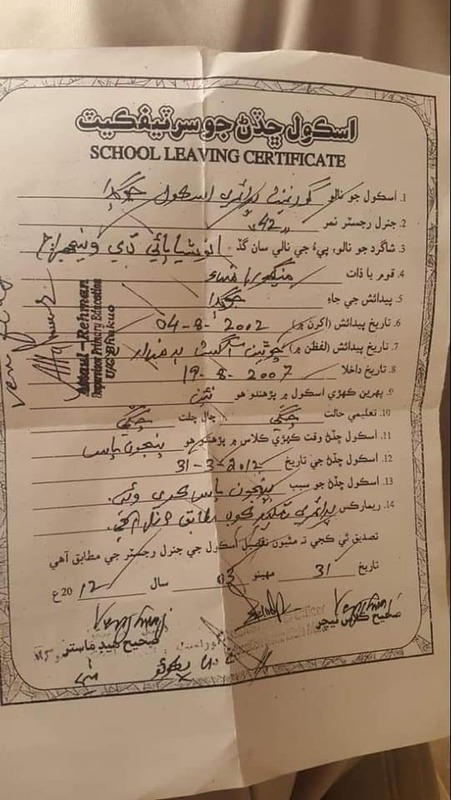 According to school certificate, she is 16 years old and the Pakistani law says that under 18 years marriage should not take place and if it happens then it is akin to pedophilia, but in the case of Hindu girls, such rules are not followed. Since apostasy leads to murder and attacks, hence, there is no question of returning back to the Hindu fold either. School leaving certificate of Anusha. Earlier, a Hindu girl named Pushpa Marwari was also kidnapped from Hyderabad and converted after which she has not yet been seen in the public. Sexual grooming by Pakistani Muslims of underage girls is known worldwide. Sajid Javid, Home Secretary UK, who is of Pakistani background, had admitted that there are “cultural reasons” because of which Muslim men from Pakistani background get into grooming gangs. 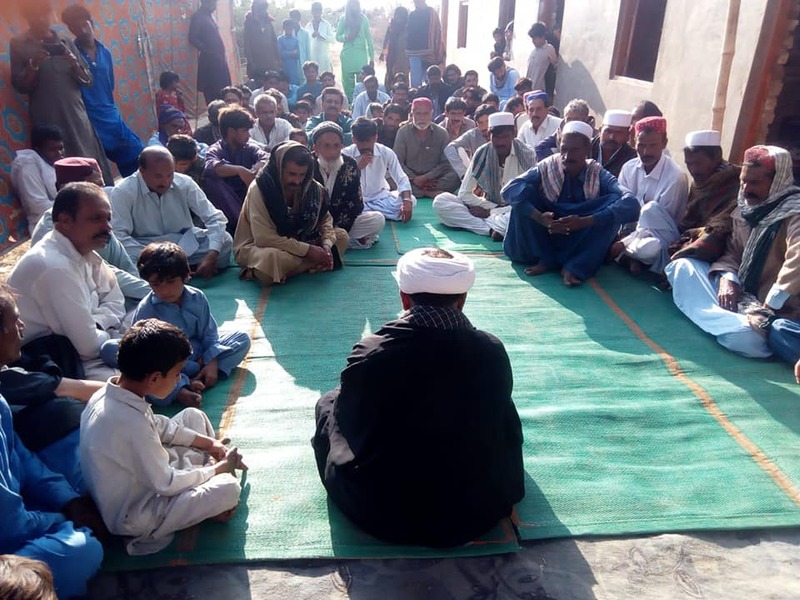 Meanwhile, 42 poor Hindus from the Tando Mohammad Khan have been converted to Islam by influential people in the area. 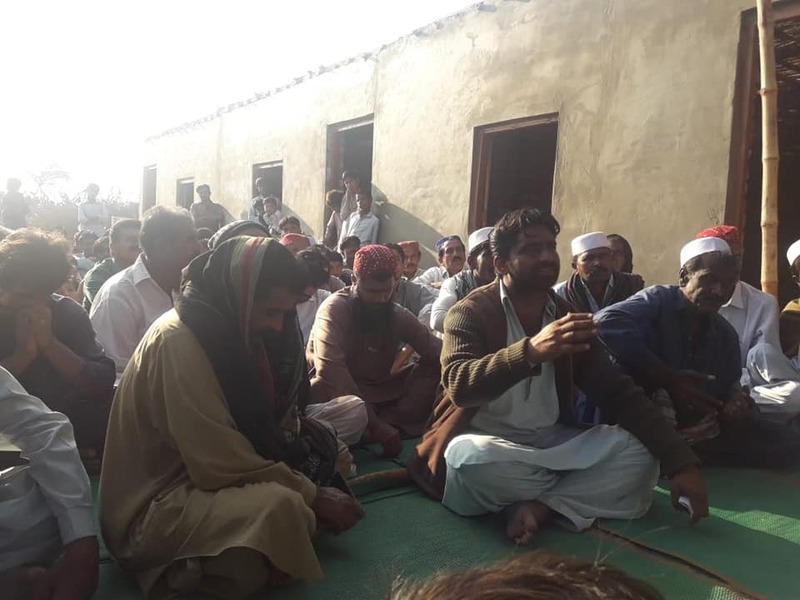 Due to constant religious persecution, Pakistani Hindus are coming to India in large numbers. Indian government led by Prime Minister Narendra Modi recently put his weight behind the much-debated Citizenship Amendment Bill, 2019.